I had the chance to get to cook with Cosme Obeso, a Cabo personal chef and caterer, the last time I was in Cabo. One of the delicious things he whipped up was a batch of these delicious “Guacamole Sliders” as he calls them. 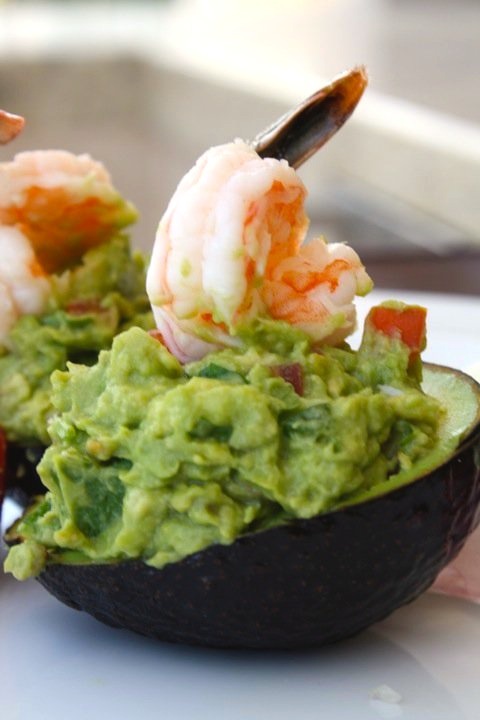 To me, they represent the Cabo cuisine; seafood is a plenty and guacamole is a staple. Chef Cosme is available for catered dinners and if you are staying in a villa he will come and cook for you. Sounds good to me!